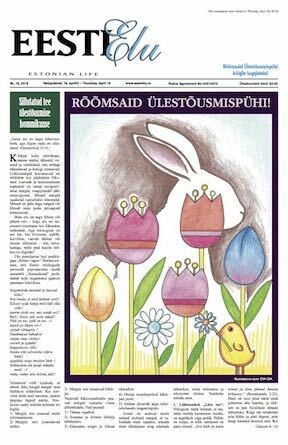 The article published January 25, 2018 (EWR - http://www.eesti.ca/shareholder-meeting-for-estonian-house-february-10-2018/article51053) by the unnamed “concerned shareholder” of Eesti Maja presents an unbalanced and misleading view of what has taken place over the last several weeks, and unfairly implies that the Esto House Board is not proceeding in good faith with respect to the Madison Project. 1. The shareholders’ meeting will not be held February 10th at the Grand Hall, as there is an event already booked for that day. 2. The Board has booked the Grand Hall for Monday February 12th at 6:30 p.m. and will shortly be sending out the notice of the shareholders’ meeting. 3. The Requisition for Shareholders’ Meeting was presented to the Board on January 8th. The purpose of the meeting is stated to be an update and information from the Board on the Madison Project, with a focus on the status of the due diligence for the Project. 4. The lawyer for the concerned shareholder was advised that the Board was conducting a series of meetings of the Estonian community to provide such an update on January 31, February 21, March 14 and April 4, 2018, and that the information requested in the Requisition would be provided to the Estonian community at large, without the expense and effort of conducting a separate shareholders’ meeting for the 2,450 shareholders of Esto House. The request for a separate information meeting solely for its shareholders appeared to the Board to simply be a duplication of effort, and discussions and correspondence took place up to January 24th as to whether such a separate meeting was in fact required. 5. However, the Board was advised the community information meetings were not satisfactory, and the Board was then required to book the Grand Hall for a separate informational meeting February 12th. 6. The Madison Project is a joint effort of Eesti Maja, Tartu College, Estonian (Toronto) Credit Union and the Estonian Foundation of Canada, working together as a team to address the near-insolvency of Eesti Maja and providing a viable solution to our need for sustainable community space. The Project is complex and involves an organized and professional effort on the part of numerous experts in municipal planning and rezoning, engineering and construction, architectural design, law, real estate and finance. Considerable resources have been expended to get us this far. To date, very favorable terms of agreement have been reached with Build Toronto for the new site, a quality purchaser has been found for Eesti Maja, and negotiations are proceeding with a major benefactor, among many other items. The work has continued through the summer and fall, and the results of the due diligence efforts are coming in so as to allow the four organizations to provide a series of updates to the Estonian community about the progress of the Madison Project in, essentially, real time as the answers come in. 7. The above-mentioned series of information meetings has been scheduled for this update. 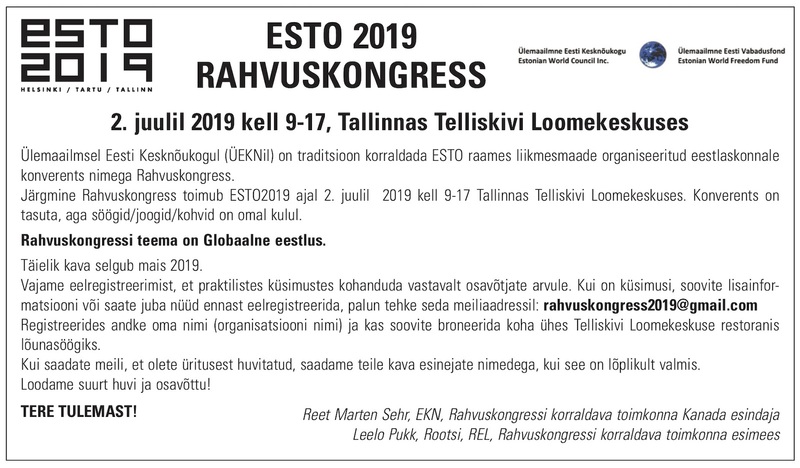 In spite of the Board having advised those requiring the shareholders’ meeting that the information they have requested will be dealt with in detail at these community meetings, they have insisted that a separate meeting solely for Eesti Maja shareholders be held. This is a right that they have and the Board has agreed to call the shareholders’ meeting as well as the community meetings. 8. The article states that “the board was obligated to call the meeting by Jan 29, 2018”, and that “the board is now in default of its obligations under the law”. The implication is that the Esto House Board is not proceeding in good faith with respect to its members, an allegation which is strongly denied. As of January 24th, after considerable negotiations, the concerned shareholder was advised through his/her lawyer that the Board would hold the shareholders’ meeting as requested, and that the community meetings would proceed as well. It is important for you to attend the shareholders meeting at Eesti Maja on February 12th at 6:30 P.M. or send your proxy addressed to the Secretary at Eesti Maja before the February 12th meeting.